It can become slightly tiresome seeing the same three or four brands in the gym, which all offer a similar style of workout clothing. There are also new brands starting up all the time which provide a unique take on gymwear, here’s a look at five which are becoming really popular online but you might not find them on the high street. A collection of gym apparel that offers both more technical styles for working out in, but also leisure wear for a day to day street look. The products are reasonably priced and offer a variety of fits for both men and women. The brand is easy to spot with its signature V design on every garment. 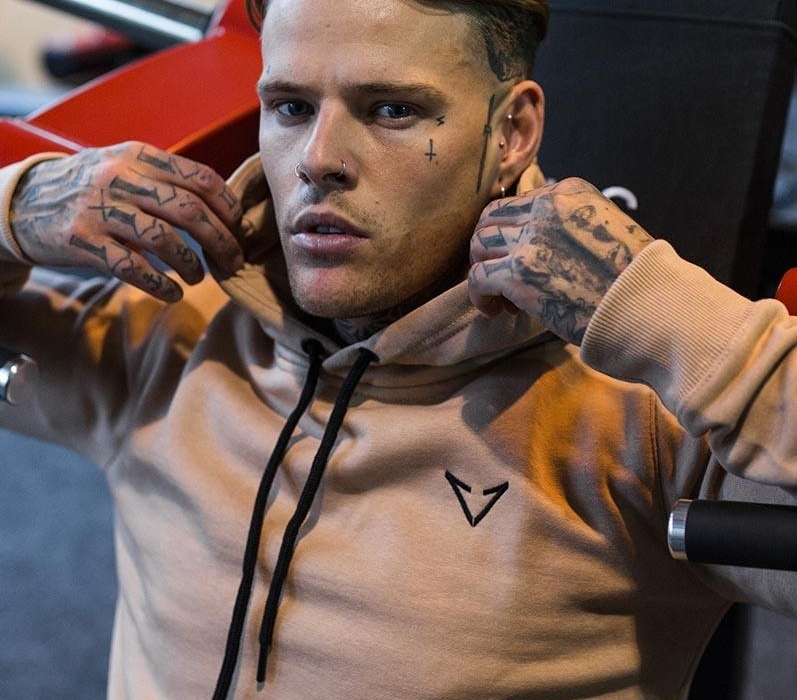 The brand’s ethos is to offer technical garments which are ideal for working out in, so if you’re looking for mens gym shirts you can wear to and from the gym, Vypex is an excellent choice. Tracksmith is a unique brand that is combining retro sportswear with modern fitness technology that works in unison. The designs are all inspired by the ’70s and 80’s vintage fitness era where the amateur spirit had a whole different style compared to nowadays. The fit is mostly loose, and an iconic running hare insignia can be spotted on some of the garments to highlight its origin, but as most vintage styles weren’t out to heavily advertise themselves years ago, Tracksmith tries to do the same. A very unique and risky philosophy is used with Ten Thousand Gear, “No BS, No Gimmicks, and No endless scrolling through indistinguishable products”. Their products are all simple and effective, Ten Thousand Gear offers one of each style of garment, in an array of colours. Rarely branded each product is named after its functionality so each shopper can find the ideal apparel for their workouts. A women’s fitness brand that is incorporating bold fashion styles within their workout garments. The unique styles the Leggings and tops can be bought in makes the luxury price tags fairer. Wear it with Heart doesn’t highlight itself with a branded logo, and bases its clothing of the designs rather than heavy branding. A slightly different take on branding, rather than using their clothing to promote their brand name, they offer inspiration. Large bold prints are used on the tops to encourage more intense workouts during every gym session. The brand has also kept its prices very low with tops being around $15, this brand caters for both men and women looking for an extra drive during their workouts.